Do you believe in miracles? Life is a miracle and nature is miraculous, so why are miracles so hard to fathom? Janna Gur is miraculously talented. Take a peek at her latest cookbook, Jewish Soul Food: From Minsk to Marrakesh, and celebrate Hanukkah in style with this jittery version of her Syrian recipe for Herb Meat Latkes. Fry lamb latkes in oil, 3 minutes per side, or follow these oven broil instructions for a lower fat latke. Raise the oven rack to a few inches from the top and preheat oven on broil. Coat a baking pan with tinfoil. Combine all ingredients except for olive oil. Form 12-15 mini latkes. Dab the bottom side of each latke with olive oil, just before you place it on the foil so they won’t stick. Broil 3 minutes per side. 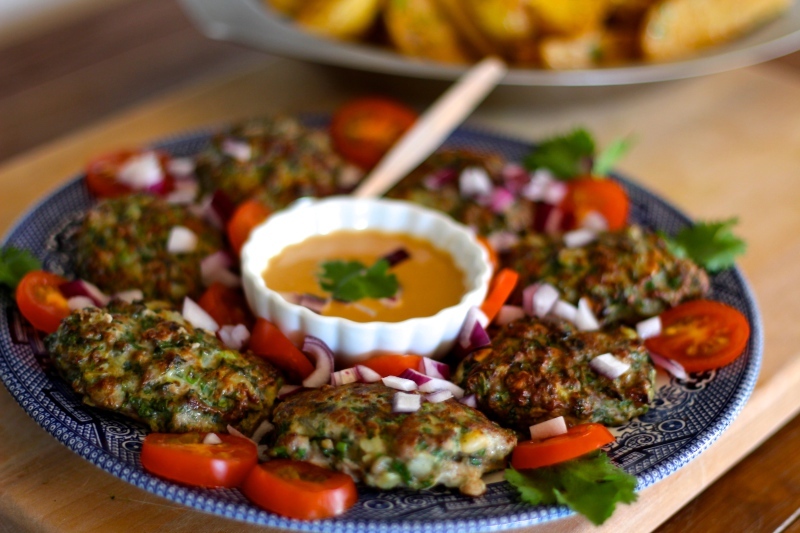 Garnish with thinly sliced tomato, finely chopped red onion and drizzled with tahini. 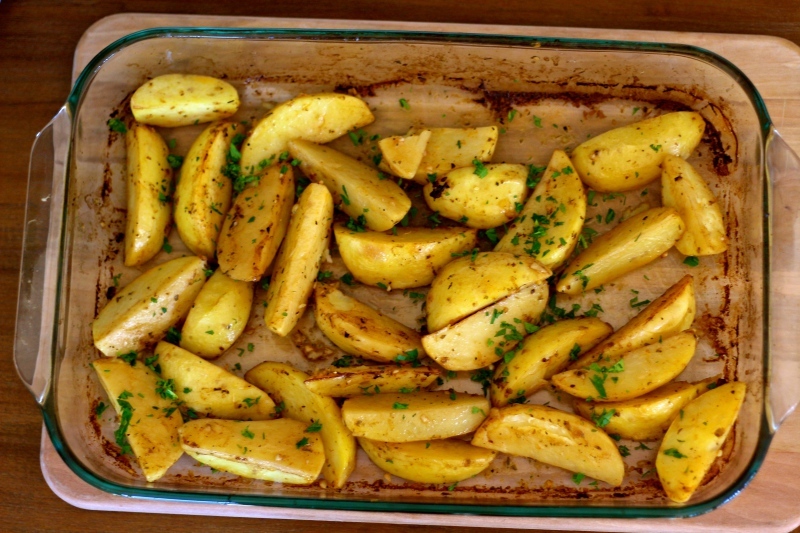 Serve with Lemon Roasted Potatoes. Serves 4-5. 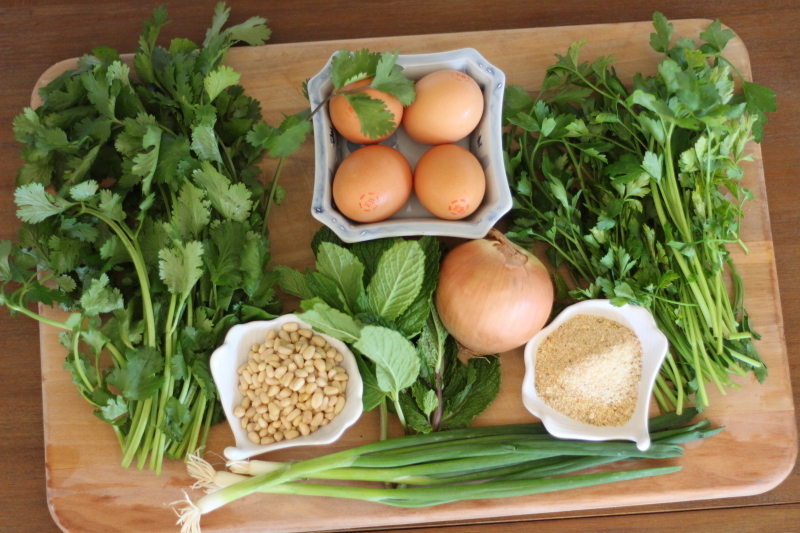 In a bowl, combine all ingredients except for potatoes and parsley. Arrange potatoes in a single layer in a 9×13-inch baking dish. Pour stock over potatoes. Roast for 75 minutes, turning and basting at half time. Garnish with parsley. Serves 8. Love this list of what you’ll learn in your 40s. Here are some things you never knew about latkes. The Lemony Roasted Potato recipe was clipped from the Montreal Gazette a while ago, and I’m not able to recall whom to credit. Anyone know? And lastly, HBD to the one i love!